Looking For The Best Drumsticks For Electronic Drums? Here’s a look at our favorites, including our top pick the – Zildjian 5B. 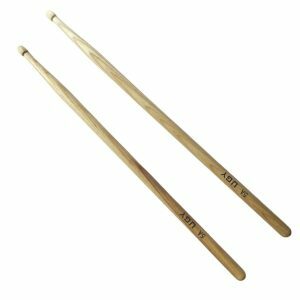 If you’re a beginner who’s new to the world of electric drumming, figuring out which drumsticks to buy can be surprisingly tricky. You’d think it would simple enough—you just need two sticks that you can bang on hard surfaces, right? Well, the answer is yes and no. 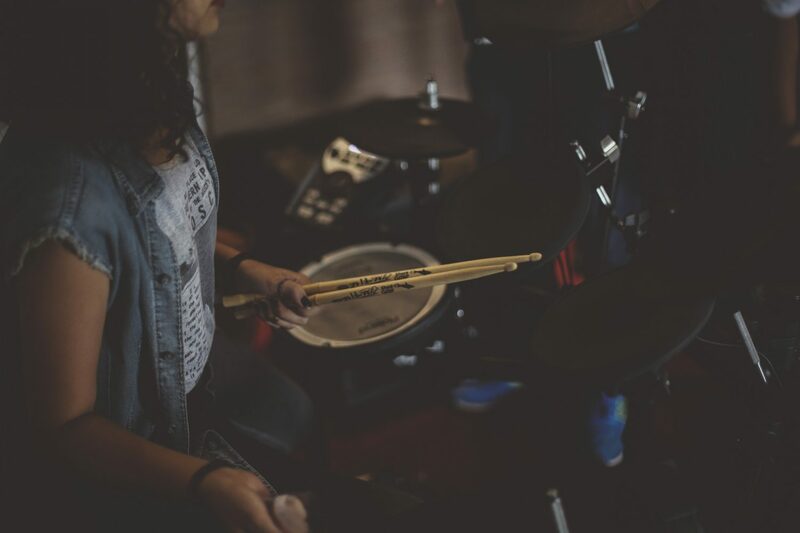 Any drumstick will work, but there are certain types and styles that are either designed specifically for electric drum kits, or that are known to be better with electric drum kits. With that in mind, let’s take a look at some of the best drumsticks for electronic drums. Feel – comfort is king. If the sticks you use don’t feel right, you won’t be able to play your best. Assuming you’re already a drummer, you’ll want to buy a set of sticks that have a familiar feel to the sticks that you’re using with your standard drum set. If this is your first time foraying into any type of drumming, it might be a good idea to stop by the local music store and try a few pairs out. You’ll quickly realize what feels good, what doesn’t fit, what slips too much in your sweaty hands, etc. 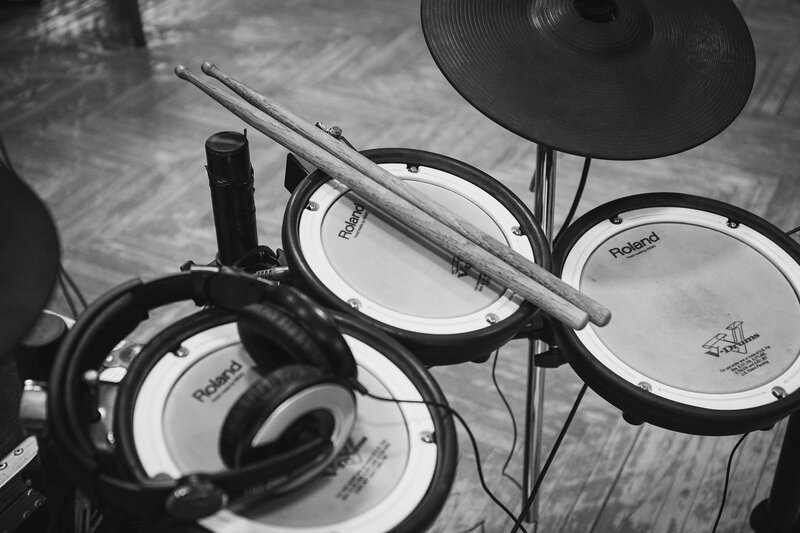 Nylon – electronic drum heads are more delicate and more expensive than a traditional drum head. Playing with wood-tipped drumsticks is okay, but wood tips may wear down the drum heads faster than normal. If possible, go for nylon-tipped sticks that are a little gentler on the drum head. That said, comfort is king, so if you don’t like the feel and sound of nylon-tipped sticks, wood-tipped sticks are fine as long as you understand you may need to replace the drum heads a little sooner. Wood – hickory drumsticks are the most durable type of wood, so they tend to last the longest out of all the wooden drumsticks. Considering MLB baseball bats are made of hickory, that should drive the point home that these sticks are meant to take a beating and are good for drummers who play hard. Maple drumsticks are about 10% lighter, so they’re good for drummers who play quicker sets and need speed over power. 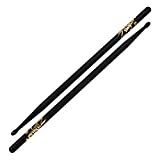 Because they’re lighter, the manufacturer can make wide-diameter drumsticks with maple, and wide maple sticks are great for drummers with big hands. You’ll also see some oak drumsticks out there. The Zildjian 5B is a perennial favorite for its medium-size dimensions and teardrop bead. This particular set is nylon, so it’s a fantastic fit for electric drum kits. If you want the nylon tip in a different color, the Zildjian 5B has 5 other nylon-tipped color choices. If you like the feel but you’re not a fan of the nylon, the model comes in 8 all-wood options, too. All 14 pairs of sticks would be a great pick. Vic Firth’s American Classic 5A and 5B drumsticks have been a favorite of countless drummers for over 30 years. Some say it’s the most popular set of drumsticks in the world (though I’d say that’s a bold claim that’s a little hard to substantiate). This 5A set has a distinctive black finish with a teardrop tip. 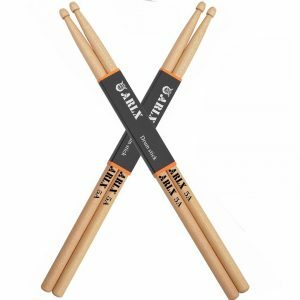 If you’re looking for a solid value, this ARLX set comes with two pairs of sticks for the price of one. They’re made of high quality North American maple wood, and are ideally suited for beginners who are learning and practicing. The light maple composition makes them great for fast-playing rock bands, jazz, and orchestras. The oval tip delivers a full, rich, and balanced sound, especially on the cymbals. The sticks have a natural, gloss-free coating to reduce slippage and increase playing comfort. Don’t let the name fool you—the CODA DK-040 Student Drum Sticks are a great and affordable option for students, but they’re designed with the professional in mind. These drumsticks are straight, well-shaped, and have a good balance. You may see a few imperfections in the wood, but that only matters if aesthetics trump playability in your book. To me, these are a solid off-brand set of sticks for a heck of a bargain. The UGY Classic 5A Drum Sticks have a bold design that’s engineered to deliver fuller sound. They’re made of hickory wood—the most popular choice for drumsticks thanks to its responsiveness, resilience, and durability—so it’s a great pick for heavy-handed drummers, and those who like the classic hickory look and feel. Like I said before, when it comes to finding the best drumsticks for electronic drums, comfort and feel are king in this arena. Nylon tips may be better suited for electric drum kits, but if they feel right to you, you’ll eventually end up giving up the instrument—and we definitely don’t want that. It may take some trial and error to find the perfect set of sticks for you, but considering how all of the drumsticks on this list cost less than your lunch, it’s pretty easy to try a couple different options and find the set that’s best for you. If you end up with an extra pair of drumsticks that you’re not going to use, then you’ve got a backup pair that you can throw into the crowd at your next gig. If you’re completely new to drumming, I’d personally recommend starting with the Zildjian 5B Nylon Black Drumsticks. Nylon tips are best for your electric drum heads, so in an ideal world it’s also best for you.